Home / Models / 3-Series / Will the BMW 330i be the best pick of the range? I remember, driving the BMW 340i at its press launch in Mexico a few years ago. It was the first ever 3 Series to wear the “340i” name and it was the first BMW to use the brand’s new B58 engine. That last bit is the important bit, as it’s what made the 340i so good. I remember the car I drove was a 340i with a six-speed manual and drove it on roads so incredible the Swiss would be jealous. So I’ve always had a soft spot for that car and the B58 engine. 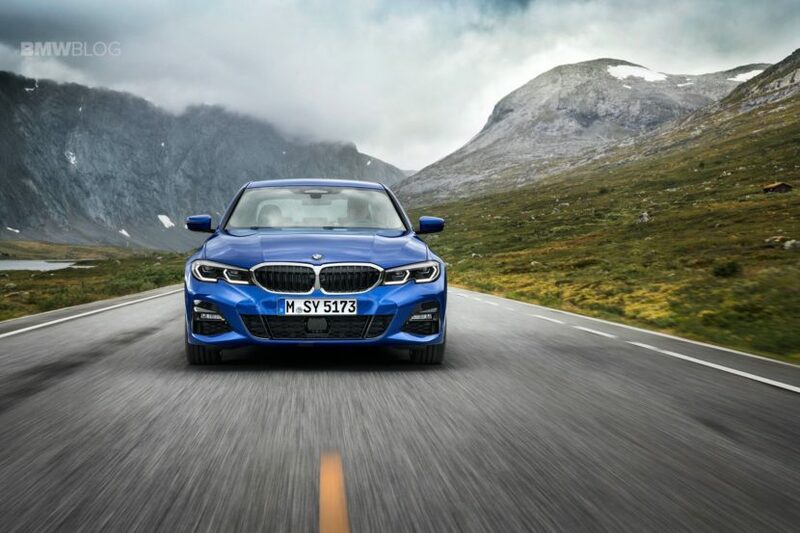 However, with this new generation 3 Series, I think I’m going to have to pass on the big I6 and go with the smaller, four-cylinder BMW 330i as my pick of the range. 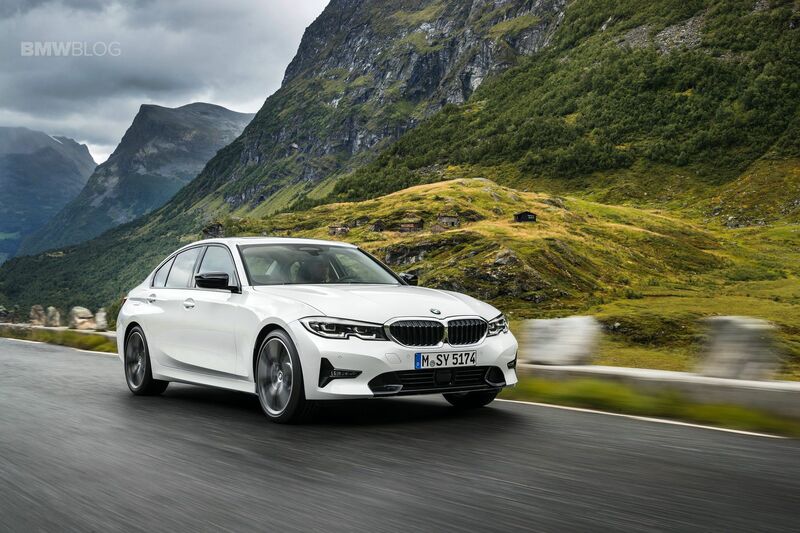 With the new G20-generation 3 Series, America will get three flavors: 330i, 330e and the M340i. The BW 330i is going to be the entry-level model with a 2.0 liter turbocharged four-cylinder engine, while the 330e will be a plug-in hybrid with a version of the same engine and the M340i will be an M Performance model with a newly-tuned version of the B58 engine. The BMW M340i is naturally the car all enthusiasts are excited about. It’s the most powerful and fastest non-M 3 Series ever, with 382 hp (in North America, Europe will get 374 hp) and a 0-60 mph time in the low four second range. So it’s easy to see why it’s so enticing. However, personally, I’d prefer to have its smaller-engine sibling and maybe you’ll follow my logic. One reason behind this logic is its face. 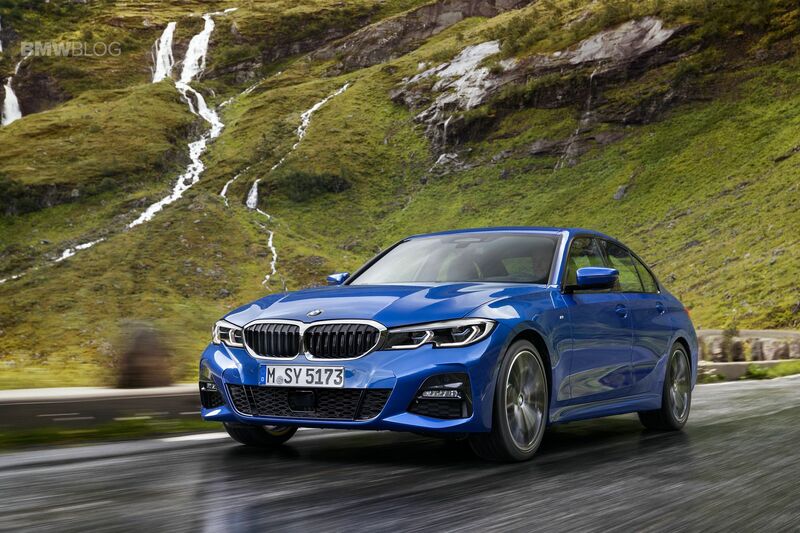 Have you seen the M340i? The front end of that car might be the messiest, most over-designed face I’ve ever seen on a car and I just recently drove a Lexus LC500, which I though held that title until I saw the new Bimmer. There are lines everywhere and they don’t seem to have any rhyme or reason for why they’re where they are. It’s like BMW threw spaghetti at the front of the G20 and traced body lines around it. I’ve highlighted all of the crazy lines below. Seriously, BMW? My eyes hurt. 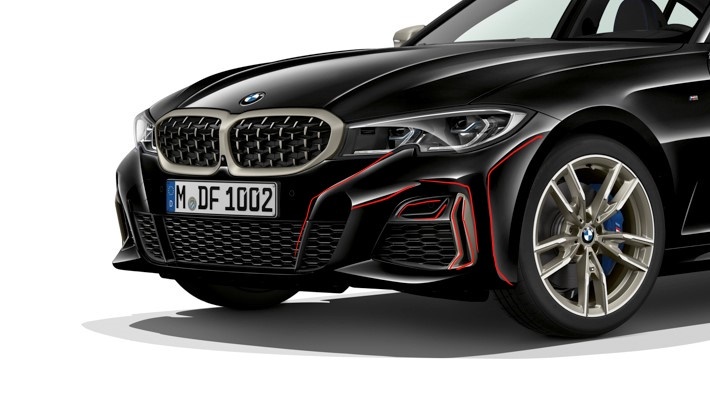 And then there’s the funky new grille design, with its little “Y” shapes instead of traditional vertical slats and it just doesn’t look good on the 3 Series. The new design looks okay on the new BMW Z4, because that’s a sporty roadster, so it’s forgiven for having funkier styling. Not so much on the new M340i, though. On the other hand, the BMW 330i looks quite handsome. With its M Sport package, it looks sporty and athletic, while in standard guise its understated and smart looking. It’s the better looking car than the M340i, without question. And sure, driving dynamics are more important than looks but looks are important and if you’re going to own a car and live with it everyday, you wanna look back at it after you lock the doors. You can’t look back at the M340i because you’re eyes will bleed. Also, it’s not as if the BMW 330i is a slouch. Sure, it only has a turbocharged four-cylinder compared to the M340i’s big six. But that turbo-four is quite punchy in its own right, making 255 hp and a very healthy 295 lb-ft of torque. And sure, that’s a lot less than the M340i but it’s enough to get the 330i from 0-60 mph in the low five-second range (BMW claims 5.6 seconds but expect it to hit 5.2-5.4 no problem). That’s far quick enough to be fun. It won’t be a stoplight-killer like the M340i but that’s never been what the 3 Series is about. In fact, throughout the years, the 3 Series has always been a car that wasn’t always the fastest in its segment but the one that was the most enjoyable to drive. It never mattered which engine you had, the 3er was always a blast to drive. From what we’re hearing about this new G20-gen 3 Series and how much work BMW has put into its chassis, suspension and steering, it could be the best 3er since the E46. So while the BMW M340i brings a ton of power, performance and bragging rights, if you ask me, the BMW 330i is going to be the pick of the range. It has enough power to be fun, is going to be less expensive, more fuel efficient and a helluva lot better looking.